I’m very pleased to report an upcoming Liverpool Public Library lecture by CNYO’s own Tyler Beagle (with his CNYO and SAS hats on to boot). There are those who celebrate the arrival of the autumnal equinox more than the vernal equinox! Many amateur astronomers anxiously await the cold, crisp, and long nights of winter. Some of the very best astronomical sights one can observe from CNY are awash in daytime light during the spring and summer, leaving observers to wait for Earth to make it one half-revolution around the Sun again before preparing their hats and gloves for nights outside. Modern technology has made amateur astronomy a 24-hour hobby for those with an internet connection, meaning even the bitter cold need not keep you from seeing – or studying – the Milky Way and beyond. This talk will be divided into nighttime winter observing and a survey of citizen astronomy projects. And apologies for the short-ish notice. This is not a showing of the movie “Plan 9,” but risks being just as cheesy. CNYO makes its yearly (if not more often) return to LPL this Thursday with a lecture that actually overlaps nicely with a lecture topic from a few years back that was presented at a CNY Skeptics meetings – We step out from our discussion of Ceres and Pluto into a discussion of Pluto and the theorized Planet IX (not to be confused with Planet X). As always, we check on the state of the binocular loaner program as well, with hopes that all have been reserved and none are available. google map directions to LPL. 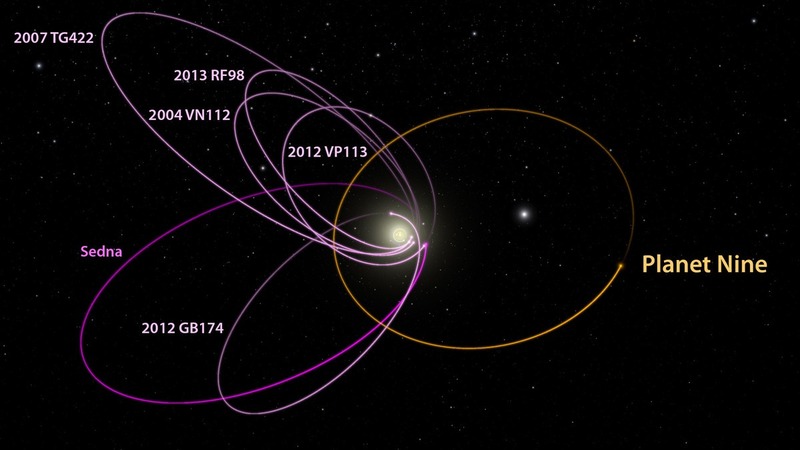 Pluto had a remarkably good and lucky run as the 9th planet in our Solar System. Its demotion to dwarf planet status in late 2006 was due to a number of factors, driven largely by the discovery that Pluto is not alone either in size or in location out beyond Neptune’s orbit. Modern telescopes have discovered numerous dwarf planets out in the Kuiper Belt – a region of the Solar System for which Pluto is now the most famous member. By determining the orbits of these distant objects, astrophysicists have even made the prediction that something much larger in size must be lurking in the distance – large enough to qualify as a true planet if and when it is officially observed. 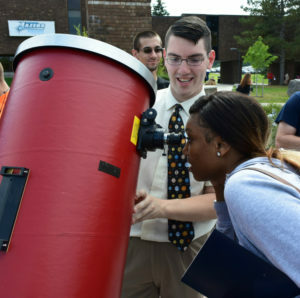 Dr. Damian Allis is a NASA Solar System Ambassador, director of CNY Observers and writes the monthly “Upstate New York Stargazing” column for syracuse.com and newyorkupstate.com. The time is finally approaching – but, before the anxiously-awaited total solar eclipse over New York on April 8th of 2024 (this is true! ), we’ve another solar eclipse that will include partial coverage of the Sun by the Moon from our location this coming August 21st afternoon (plan to make yourself available from roughly 1:00 p.m. to 4:00 p.m.). In preparation for the eclipse, CNYO will be hosting a number of lectures in the area and, for the actual observing session of the eclipse, CNYO members will be at a number of local libraries with solar-safe observing equipment. Additional sessions will be added to this page as events get scheduled. NOPL North Syracuse, August 14th, 6:30 p.m.
Cazenovia Public Library, August 16th, 7:00 p.m.
Jamesville Public Library, August 21st, 12:00 p.m.
* The Jamesville Library lecture will combine several events into one – a noon lecture, followed by the afternoon observing the the eclipse, all as part of the opening of this brand-new library on Jamesville Rd. If you have solar-safe observing equipment and would like to include your setup at one of these sessions, or if you plan on hosting an eclipse event in the CNY area and would like to be added to the lecture or observing list, please contact Damian at info@cnyo.org.